Did you know that you could save 20% on your water bill just by replacing your toilet? Most conventional toilets hog 3 1/2 gallons or more of water. And the U.S. flushes nearly five billion gallons of this precious resource every day. But this is the dawn of a new generation. 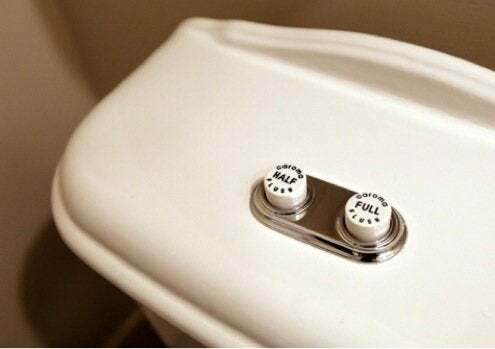 Low-flush toilets use 1.6 gallons per flush, and now high-efficiency toilets (or HETs) using 1.28 gallons per flush are fast becoming the standard. They’re a little more expensive, but in some thirsty places like California, homeowners can get big rebates for replacing their old toilets. The job can pay for itself in a couple of years. To make sure they’re up to any challenge, low-flush toilets have undergone some serious design changes to the bowl, trap, and waterflow. Some have pressure-assisted flushing, a glossier trapway finish to reduce drag, and even a dual flush option.